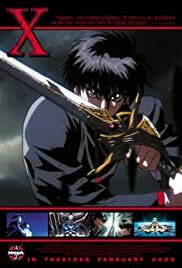 100 min [ ] - It's the year of destiny, and 15 year old Kamui Shiro, a powerful psychic, has returned to Toyko after a 6 year absence, having left when he was very young. He wants to be with his childhood friends, Fuma (his best friend) and Kotori, Fuma's little sister (and Kamui's possible girlfriend). He wants to protect them from all dangers, but destiny and fate are haunting Kamui and pulling in himself and his beloved childhood friends. It is his destiny and his sole decision to decide the fate of the world, no matter if he wants the role or not. Now it is a matter of if he will join the side of the Seven Seals and become the Dragon of Heaven to save mankind or join the Seven Angels and become the Dragon of Earth to destroy all civilization so the earth can heal itself from man's destruction.